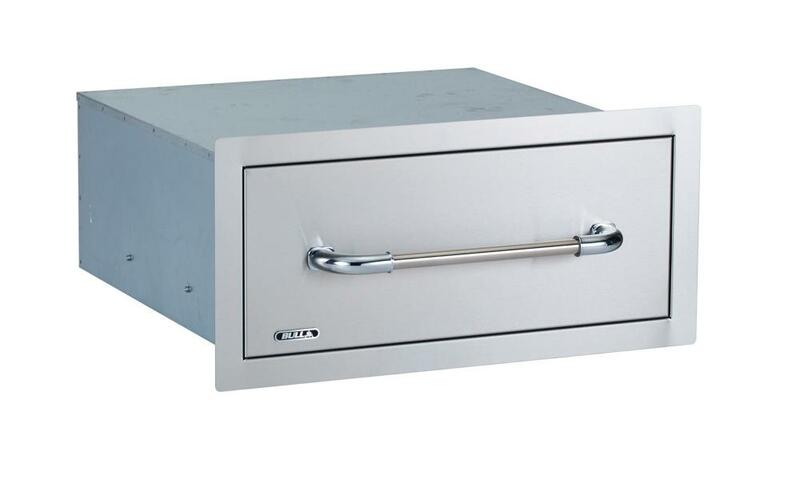 The Bull Outdoor Products Propane Tank / Trash Drawer is a convenient slide out drawer for propane tank or trash can storage. The premium quality construction of the Bull Stainless Steel Trash drawer / Propane drawer has the high end fit and finish you would expect from Bull and will help complete your outdoor kitchen dream. The Bull Outdoor Products Stainless Steel Single Drawer is great for storing outdoor kitchen utensils, spices, tools or cleaning supplies. The matching handle and well proportion dimensions makes this an attractive addition to your outdoor kitchen area. 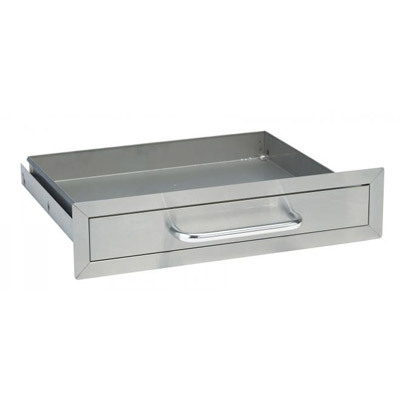 The premium quality construction of the Bull Stainless Steel Utensil drawer has the high end fit and finish you would expect from Bull and will help complete your outdoor kitchen dream. 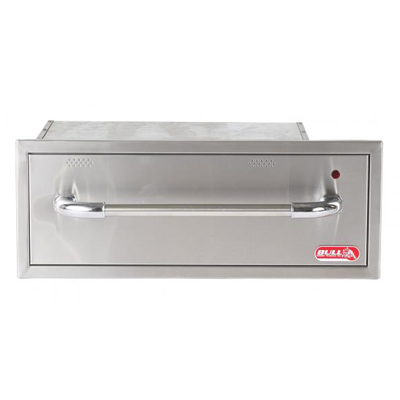 The Bull Outdoor Products electric warming drawer offers precise temperature control to keep your food warm until it’s time to feed your hungry guest. Keep your food crisp or moist with the moisture control vent. Helpful red light above control knob turns on when the drawer has reached desired temperature. Opens and closes smoothly with a full-length handle for easy access. This Bull warming drawer is an important part of any full featured outdoor kitchen. 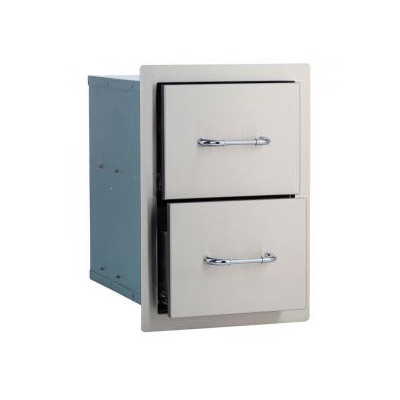 The Bull Extra Large Commercial quality polished 304 stainless steel single drawer constructed for durability and lasting appearance. 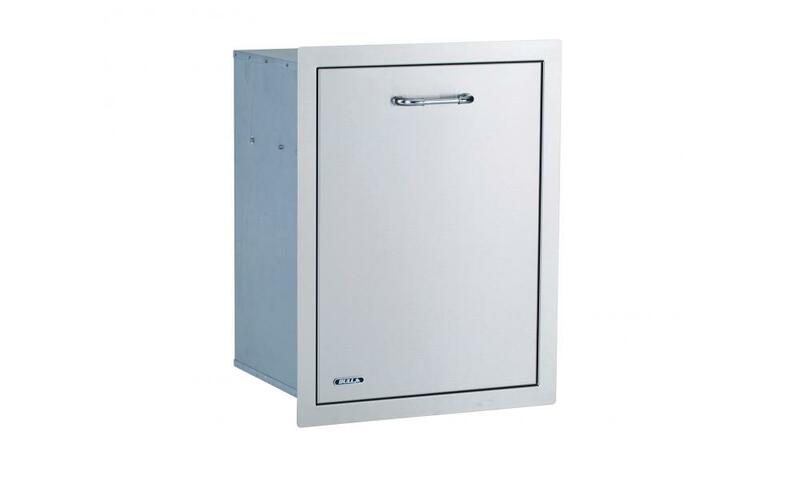 This item is great for storing large items and can be installed under the Bull Power Burner to store the Bull Wok or Power Burner cover. 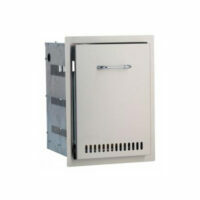 304 stainless steel has excellent resistance to corrosion and heat. The Bull Outdoor Products Stainless Steel Double Drawers are an excellent way to help organize your outdoor barbecue kitchen island. These large drawers are fully enclosed which helps keep your utensils and supplies clean and dry. The premium quality construction of the Bull Stainless Steel Double Drawers has the high end fit and finish you would expect from Bull and will help complete your outdoor kitchen dream.